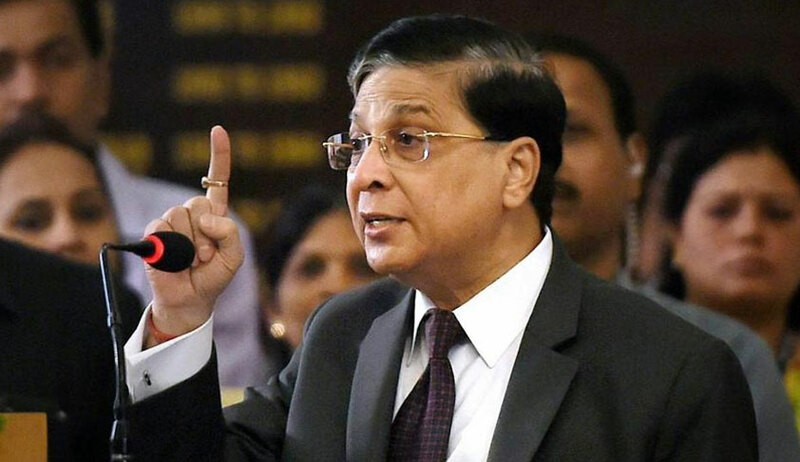 Issues of pendency and delays in the justice delivery system need to be tackled with judges taking up "the burden of judicial leadership and managerial skills", Chief Justice of India Dipak Misra said on Friday, while delivering the valedictory address at the National Conference on 'Initiatives to reduce pendency and delays in judicial system'. "The court congestion and delays do require a modern and progressive approach where every Judge takes the burden of judicial leadership and managerial skills of his court and the cases before him. That will help the system in promptitude and I am certain, we will see the effective result," he explained. Dealing promptly with cases in which a stay has been granted by the High Courts. He further noted that the discussions witnessed an emphasis on technological aspects and introduction of best practices in the ADR system, and elaborated on the deliberations, saying, "The purpose was to share good practices and absorb them with a sense of objectivity. As I gather, there has been sharing. I may note that sharing of ideas is the moot factor of belonging. And here belonging means to be a part of great judicial fraternity with the avowed aim of speedy dispensation of quality justice. The discussions have ranged from the concept of ‘case and court management system’, ‘methods of promoting Alternative Dispute Resolution’, ‘greater use of technology to endeavor to plug the gaps in justice delivery’ by taking immediate appropriate measures of identifying the cases which need urgent attention and quick disposal. Many learned Chief Justices have spoken about the innovative steps they have undertaken. The effort and the consequent result deserve to be appreciated." The CJI also highlighted the viability of adopting the strategy of reducing pendency in a phased manner, while simultaneously dealing with litigations which were more than five years old. This, he said, was one of the most successful schemes to handle delays and pendency. Furthermore, he asserted that the Supreme Court's e-committee has been one of the most successful steps taken by the Indian judiciary, having contributed to the computerization of courts in India. As for ADR, he delivered a word of caution against being obsessed with the idea, explaining, "...I may add a caution, that never impose your views on mediation or settlement in Lok-Adalat and judicial settlement. We should never send a wrong message. I would like to say-be enthusiastic but never be obsessed. Perseverance and enthusiasm are to be distinguished from obsession with an idea." He said that a compilation of thoughts, ideas and suggestions generated in all sessions shall be prepared and circulated to all High Courts, "so that they can be followed pragmatically having due focus on the ground reality". "I hope this national conference will help us improve upon our strategies, our plans, our focus, our targets, our energies and above all, our commitment towards the judicial system, its growth and strengthening of the same," he added, ending his address.